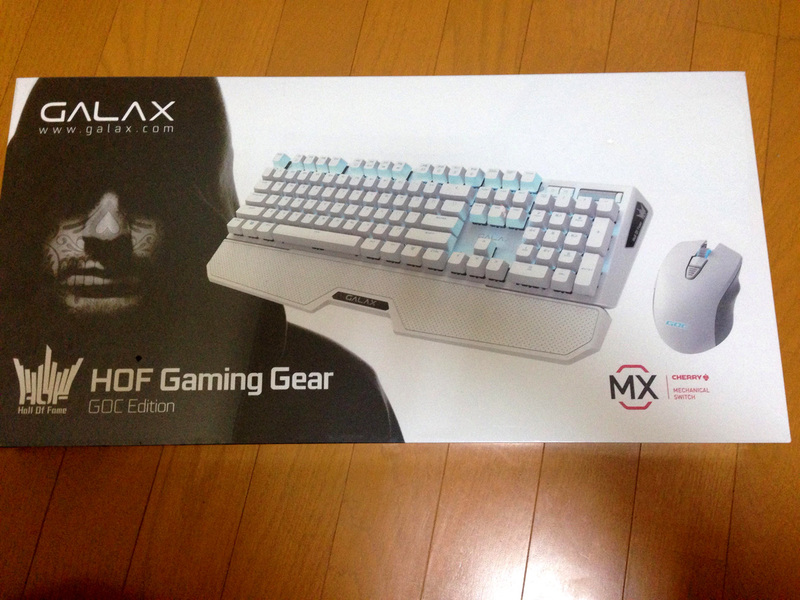 This time, a set of GALAX gaming keyboard and mouse. 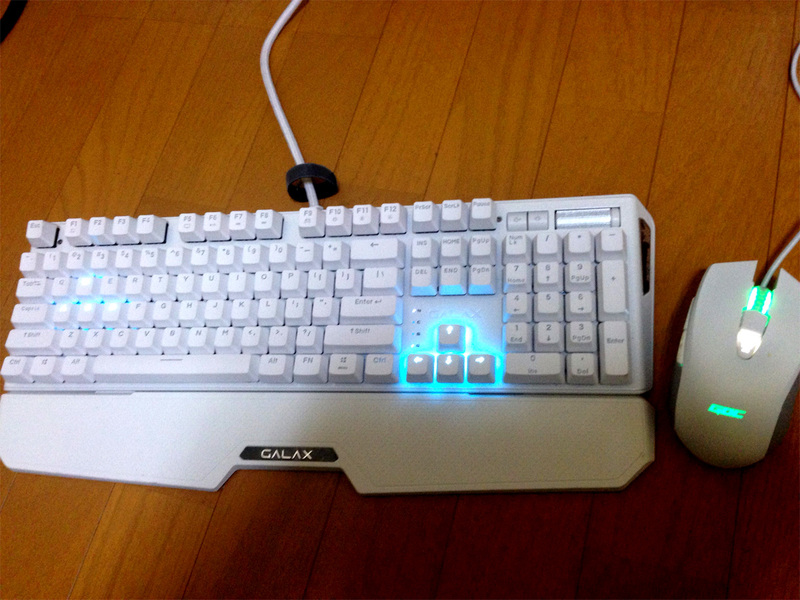 It is black that is introduced on the web, but this keyboard is white of GOC (GALAX Overclocking Carnival held once a year) edition. I want to present another unopened keyboard at the event someday. I took a video of the keyboard illumination. •Dedicated audio and lighting controls: HOF Keyboard not only provide full media control buttons, but also provide die-cast volume and lighting roller. No matter play game, music or video, gamer enjoy multimedia and control lighting brightness more convenient. •USB 2.0 hub + Audio-out and Mic-in Jack: Convenient USB 2.0 hub allows to connect any USB devices quickly. Audio-out & Mic-in jacks for audio extension more easily.